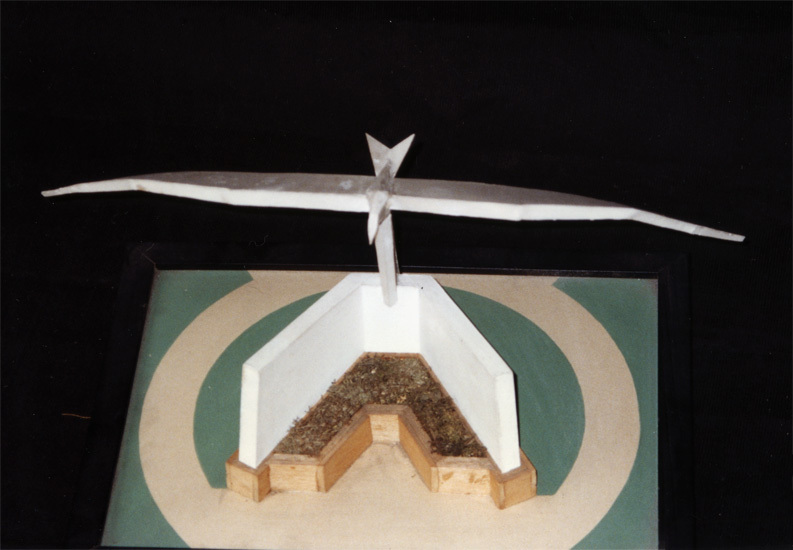 Proposal for a feature for Pinelawn Memorial Park, Farmingdale, LI, NY, 1977. Another suggestion for the bird feature. 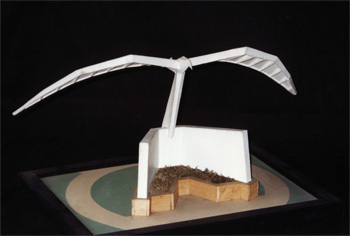 The model is constructed from balsa wood, matte board, paper and acrylic paint.